The Nancy Lopez Club Golf Skort is designed with an all-over print in a body-shaping 4-way stretch tummy-control fabric and raise front seam for an elongating silhouette. The 5-pocket design gives you plenty of space for your on-course essentials. Available in a variety of colors in size S-XXXL. Sizing note, XXXL is not equivalent to 3X. 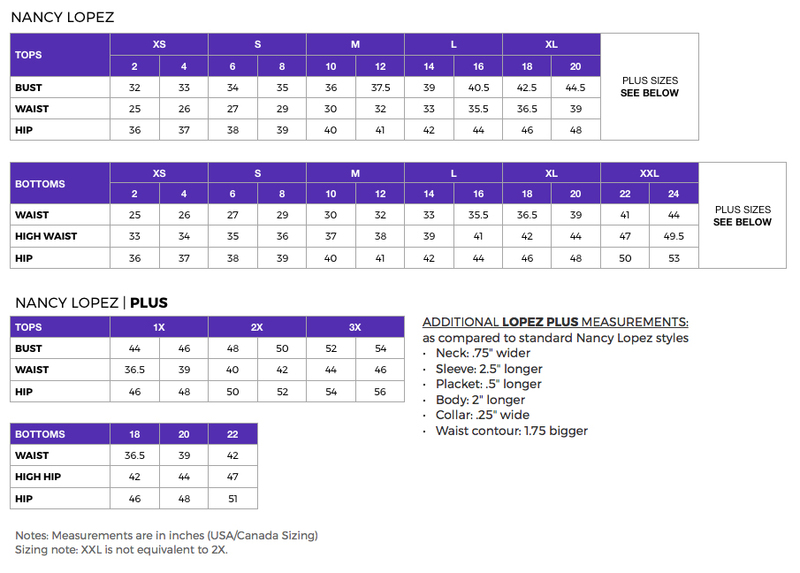 See Size Chart for measurements.